♦ A product-oriented family tree is composed of hardware, software, services, data, and facilities. The family tree structure results from systems engineering efforts during the acquisition of a defense materiel item. ♦ A WBS chart displays and defines the product, or products, to be developed and/or produced. It relates the elements of work to be accomplished to each other and to the end product. More simply put, a WBS chart shows a numbered list of the tasks that you must complete to finish a project. In Project 2003, you still can't produce a WBS graphic representation of your project that is similar to the one shown in Figure 7-19. You can, however, assign WBS codes to each task. WBS codes can be letters and numbers (or combinations of letters and numbers) that help you identify the relationship among tasks and organize the project. Figure 7-19: The WBS chart is reminiscent of a company organization chart. 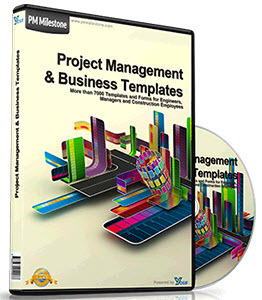 WBS Chart for Project, an add-on product for Project, creates a WBS chart from a Microsoft Project file. The CD-ROM that accompanies this book includes a sample of the program. You can use any numbering system that you want for your WBS code structure. Suppose that you assigned codes to your project that are similar to the ones shown in Figure 7-20. The task numbered 1.1.2.3 identifies the first box in Level 2, the second box in Level 3, and the third box on Level 4 of the outline structure of the project. Although Project doesn't produce the graphic representation, it assigns the numbers based on the task's level within the project outline. 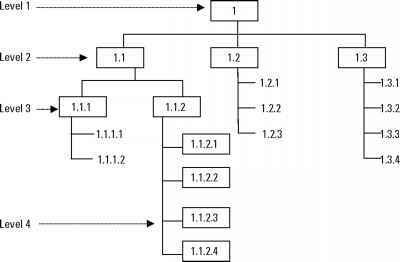 Figure 7-20: WBS numbering shows you the hierarchical relationship of tasks in the project. 1. Choose ProjectsWBSODefine Code. Project displays the WBS Code Definition dialog box. The Code preview box shows you the format of the WBS code that you're designing as you design it — and therefore remains blank until you make selections in this dialog box. 2. Use the Project Code Prefix box to apply a prefix to all WBS codes that you assign. For example, you may want to use the initials of the project name. 3. In the Sequence column at the bottom of the box, select the type of character that you want to use for each level of the WBS code. In Figure 7-21, I've selected Numbers (ordered) for both Levels 1 and 2, but you can also include Uppercase Letters or Lowercase Letters. If you choose Characters (unordered), Project inserts an asterisk at that position of the WBS code. Figure 7-21: Use the WBS Code Definition dialog box to define the type of WBS code that you want to use. Note |f you choose Characters (unordered) in the Sequence column, you can enter any characters that you want into that part of the WBS code. For example, suppose that you use a mask of Numbers (ordered) Length 1, Numbers (ordered) Length 1, Characters (unordered) Length 3. For any third-level task, you can enter any three characters that you want for the third part of the WBS code. In this example, when you enter a third-level task, you initially see a WBS of 1.1.***. However, you can change it to something like 1.1.a#3. 4. Open the list box in the Length column, and choose the length for the level of the WBS code. In Figure 7-21, I set Level 1 to two digits, but I allowed any number of digits for Level 2. You can choose Any, select from the predefined list of numbers 1-10, or type in any other number. Note For the technically curious, I tested the number 100, and Project accepted it, but using a 100-digit number in a WBS code isn't particularly practical. 5. In the Separator column, use the list box to select period (. ), dash (-), plus (+), or slash (/), or type in any character that is not a number or a letter (such as =). 6. Repeat the previous steps for each level that you want to define. 7. Click OK when you finish. Definition dialog box, because this ensures that all tasks are assigned WBS codes m h and that the codes are unique. The WBS codes don't appear by default in the Gantt Chart view; to view the WBS codes, you must add the WBS column. To add the WBS column to the left of the Task Name column, right-click the Task Name column. Project selects the column and displays a shortcut menu. 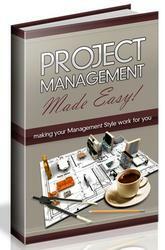 Choose Insert Column from the shortcut menu, and Project displays the Column Definition dialog box. Open the Field Name list box, and select WBS. If you want, you can change the alignment of data to Left. Then, click Best Fit to add the column to the worksheet portion of the Gantt Chart view, as shown in Figure 7-22. 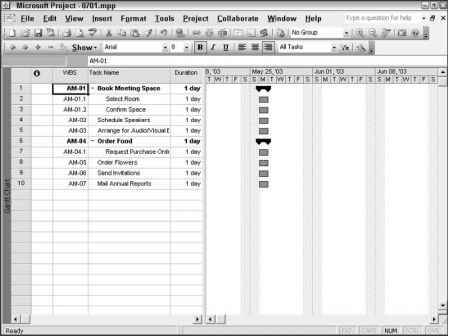 Figure 7-22: When you display the WBS column, Project displays the WBS codes for each task in your project. Note |f you had added the WBS column before defining WBS codes, you would have seen outline numbering that corresponded to the task's position in the project outline. What is WBS code in Microsoft Project?